2011. Another year, or so I thought. 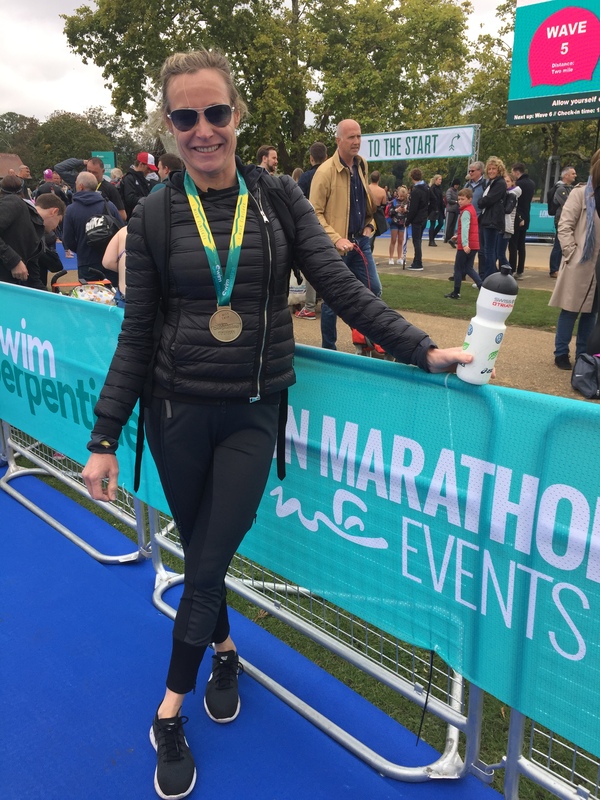 I’d clocked up a number of Olympic, half and full Ironmans and had started to focus on my running skills, as I’d done pretty well in cross country and marathon events for my team at the time, Hercules Wimbledon. However something happened inside my left hip and I was not entirely sure at the time what or why. I knew I felt something ‘tear’ when on a training run in March that year, but brushed it off with a 16mile race to win three weeks later, followed by the London marathon in April and I continued to train. Sadly only a month after that marathon time of 3hrs 19mins, I could no longer run 100m. Something was seriously wrong. I moved jobs, I moved countries and it took me until July 2016 to pluck up the courage to take the bull by the horns and get something done about it until that date, though hobbling more and more and not being able to run for a 22 bus. I stubbornly refused to believe that surgery would be an option and that it would get better. It didn’t. It took me until July 2015 to mentally prepare for significant surgery. One of our members was incredibly supportive and helpful, as she had gone through a similar decision making process a couple of years beforehand and I am eternally grateful to her; in addition to our personal training team, Neil especially, who at the time coached me to prepare and move forwards with it. In fact, all of the PTs were amazing in showing their support and positive attitude, and turning up for Ivana and Lucy’s Pilates Reformer classes were the best advice I could have had to prepare me physically pre-surgery. I’d started to swim every day too, as a way to compensate for not being able to run every day and it seemed to work for me. I was actually improving my swimming, at last! July 2016. Surgery was successful. Six weeks of making painstaking trips to the physio, walks down the road and strength training exercises, and then eventually being able to get into the pool again here at the gym, though for exercises at the side instead of the usual rigorous workout. I then started Pilates reformer again after two months, and was surprised at how steadily I managed to regain strength in my leg. 1st January 2017, I managed to run about 4km and felt fab. 1st February 2017, I did my usual 100km cycle to Box Hill and back. April 2017, I was back on the snowboard for a sneaky weekend in Switzerland. June, I clocked up a Blenheim Triathlon PB, then in July, a Bowood Triathlon PB, then in August, a London Triathlon PB. That was followed by the 100mile Prudential ride, finishing again with a PB, though I did feel incredibly tired afterwards. I’ve just returned from representing the Ski Club of GB in Saas Fee, guiding folk around the mountains for two weeks, which was testing but fun. So here we are in 2018. I Just want to say ‘thank you’ to everyone at the Club for supporting me through both mental and physical angst and for really supporting me on my road to recovery. I know that I would not have been back in the Tri circuit, back on the sportifs nor on the mountain this Christmas if it were not for my gym. Here’s wishing everyone a successful, healthy and pain-free 2018. I’m looking forward to continue to challenge myself and take my new limbs to all the places I used to venture. Wishing you all well and long may the club remain a part of our community.